Come and join us for an adventure through Southern Utah on routes that very few get to travel. We will leave the hustle and bustle of Moab and head southwest exploring our way to Sand Hollow. 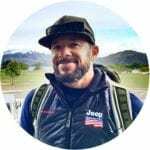 Our route will take us through a wide variety of terrain, from Red Rock Deserts to Pine and Aspen covered mountain passes over 10,000 feet in elevation. We will pass by petroglyphs, arches, canyons and scenic overlooks as we retrace some of the routes pioneers took when settling this beautiful landscape. This will be an open-itinerary exploration of the region, setting camp at dusk after a long day of travel, then moving on when the sun comes up after a nice rest under the stars.